Yesterday, Monday, began nice and bright and oh so humidly warm and I began dreaming of a moving my sewing machine out onto the deck and beginning a new project while soaking up the sunshine I hadn't really enjoyed since last September! As is usual for me, I made my first cup of coffee, played my begin the day game to get my fingers and reflexes limbered up (for those who suffer with Arthritis, you'll know what I am referring to), and by then it was time to feed my flock of birds, sweep off the deck from left over seed spillage from the day before, and generally tidy up my humble abode and then hit the sewing room. NOT to be, nope, the rain came and took away that beautiful day I thought would be and when I finally sat to have my second cup, I spilled it all over the floor and me! I did something so dumb and I am kicking myself for even contemplating it. I actually took a finished tea cozy I had made and thinking it looked too plain, thought I could quilt it. Dumb, dumb, dumb!!!! So last night I sat picking out the unsightly mess I had made. I learned when not feeling very well, I should leave well enough alone! This morning can you believe it, snow!!!! I cheered up a lot when I received this in my mail box and enjoyed it so very much I am thinking you might enjoy it too, especially if you were born in the 50's or 60's! Head on over to You Tube and watch this delightful video, it's filled with nostalgia!!! 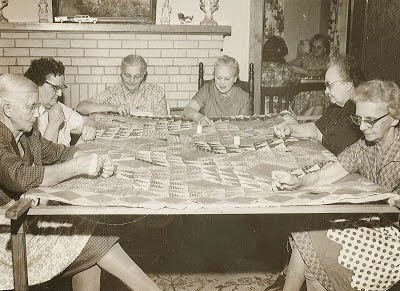 was used for this interesting article about Extension Homemakers clubs in the 50's , where quilters would gather in Quilting B's, make quilts, raffle them off and with the funds from those raffled off quilts would put that money towards helping local groups, such as sending local children to college, or assist in fundraising efforts in their area. You can read more of this interesting article here. 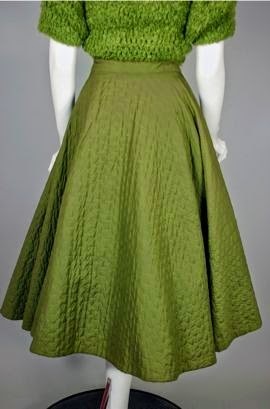 Here is a fashion item which I found 1stdibs. I grabbed this picture just in case it ends up being removed because this item sold. 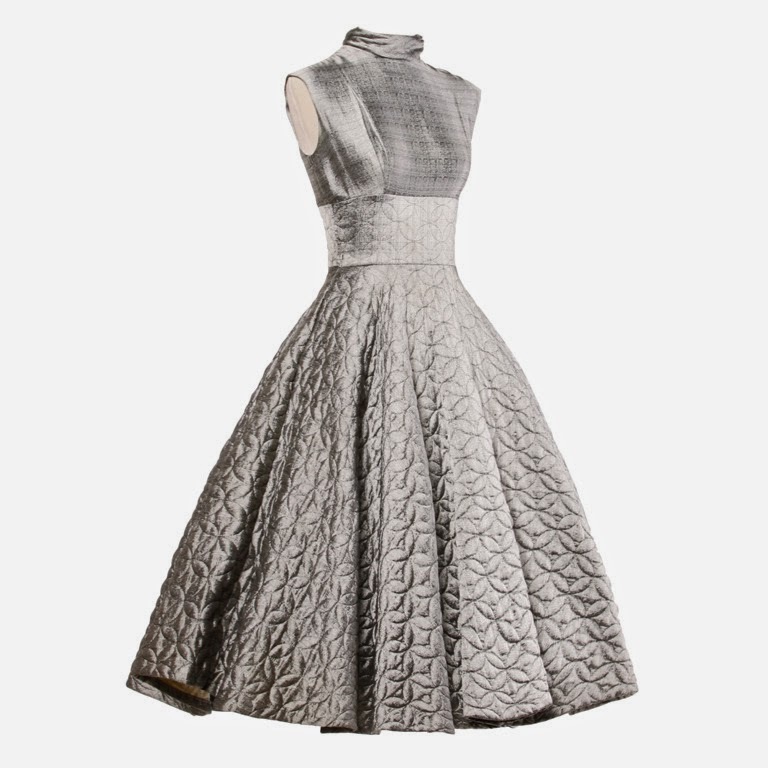 Here is the write up for it, "Incredible muted metallic silver vintage 1950s dress with a quilted skirt and classic fit and flare 50s silhouette. The dress features sleeveless sleeves, a high neckline, and glitter buttons up the back. It is unlined with rear zip and button closure. Side pockets." 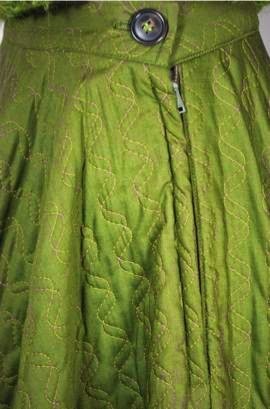 I don't remember seeing such dresses away back then, you must admit it is absolutely beautiful, this close up of the quilted motif shows just how beautifully quilted it was! Too sad there is no mention of who designed or quilted this wearable fashion quilt works. 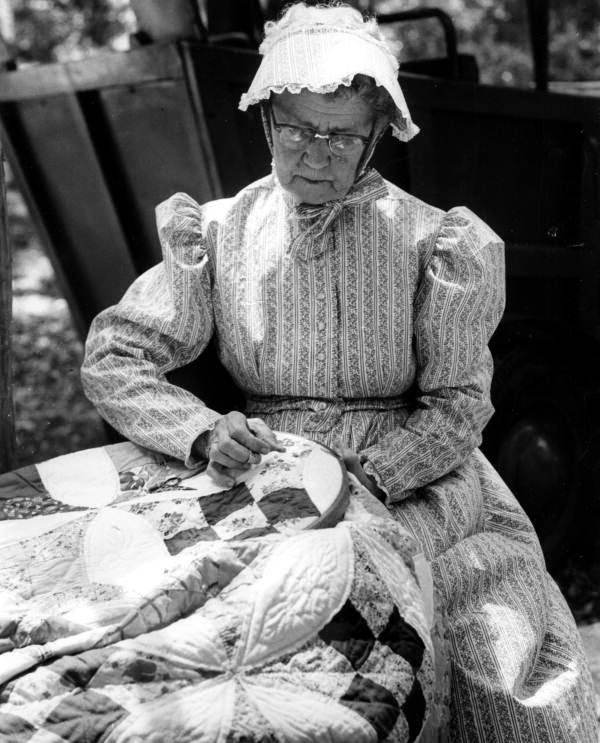 In the early 20',30's,40's and 50's Quilt Exhibitions at County and State fairs all across North America were the place to showcase quilters hand quilting skills and many a quilter vied for a ribbon on their entry which they may have labored over for more than a year, maybe even longer! apparently it's label says "Joyce of Chicago". I tried to find out more of this possible "Fashion designer or fashion company" but came up with nothing more than this wonderful photo from Viva Vintage Clothing. 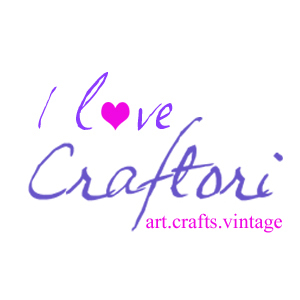 I admit, I never ever thought about quilting and fashion before I began quilting as sewing my own clothing was something I never learned, (no home economics classes where I went to school were offered). Even today, I can piece and sew a quilt top, but ask me to make a simple article of clothing and that somehow is quite beyond me. 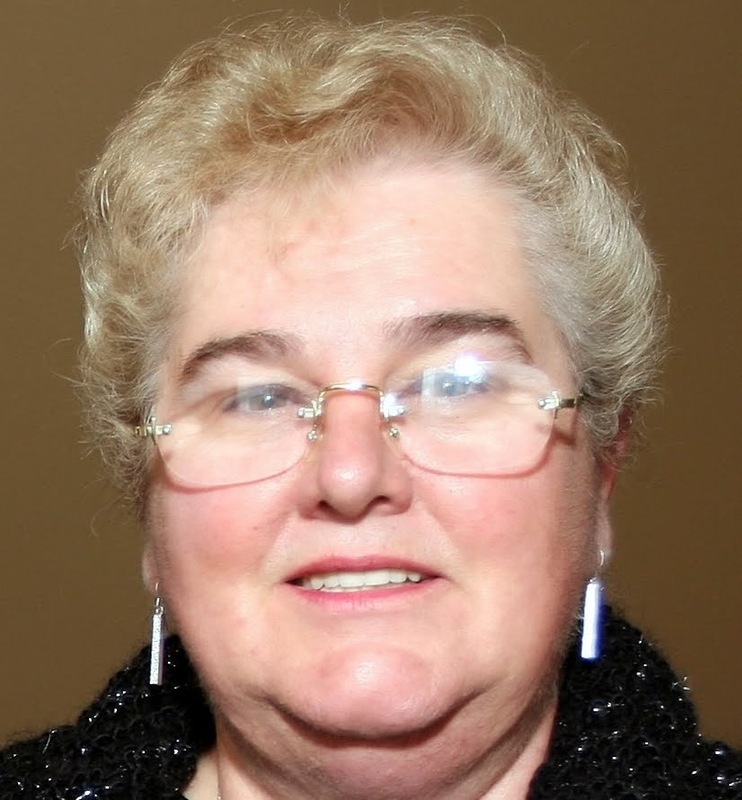 Now it is time for me to bid you a fond adieu for the day and re-introduce myself to my sewing machine and make the effort not to attempt something dumb like I attempted yesterday, why I would even contemplate quilting something all ready put together is beyond me! Have you ever done something you deemed DUMB? Have a simply marvelous day today and come back for a visit soon.